Black or White – Hot or Cold – Left or Right – and Lennon or McCartney – in each of these cases, there is always a denominator to balance out these bi-polar factions. 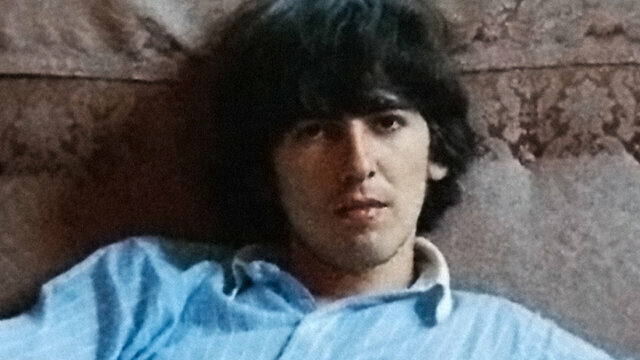 Such as, Grey – Warm – Center – and George Harrison – yep, that is right, I said George – the quiet singer who speaks, and is also the focal point to this documentary made by Director: Martin Scorsese; with the Beatles, the Pythons, and some other musical chaps as well – as seen on the BBC in 2011 – for 125-minutes. 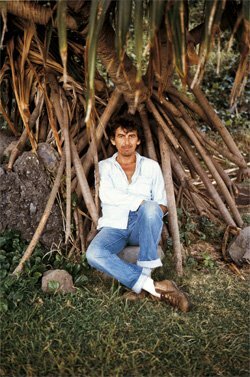 Now this second part of this George Harrison documentary, continues where the last part left off (click here for review). And, like before, it is lavished with archive footage, stock photography and audio inserts. Plus, on top of that, interviews from the likes off Terry Gilliam, Eric Idle, John Lennon, Paul McCartney, Ringo Starr, Phil Spector, Neil Aspinall, Eric Clapton, Tom Petty, Ravi Shankar, Jim Keltner, Jackie Stewart, Klaus Voormann, Ray Cooper, Olivia Harrison, Dhani Harrison, Pattie Boyd, and our mate George. 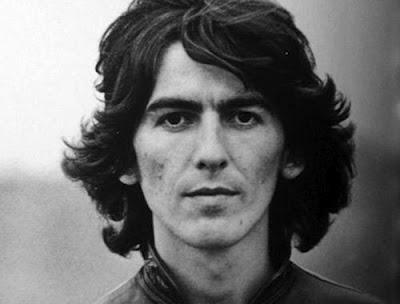 ALL THINGS MUST PAST: With the Beatles slowly on the decline, and Apple having problem after problem after problem, the road ahead for George Harrison seemed like an obvious one really – it was finally time to make his own way in the music business. Granted, at first, this was a somewhat timorous affair for George – but once aided by Phil Spector and his spiritual leanings, he eventually found his footing again. GENEROUS GEORGE: George was a very kindhearted soul in life, and he committed many chivalrous acts for all those who were around him, such as: (1) He dedicated some of his time to promote the Hari Krishna movement. (2) He allowed Eric Clapton to have a relationship with his eventual ex-wife, Pattie Boyd. (3) He formed a production company, Hand Made films, so that Monty Python could make their movie ‘The Life of Brian’. (4) He set up a concert to help raise funds for the starving people of Bangladesh. And (5) Plus much, much, more. BUILDING A HOME: Once George heard the tragic news of John Lennon’s murder, he started to refocus his personal leanings towards fortifying a family and home life. He purchased and renovated a gothic estate in the English countryside, and he spent many a good time there with his second wife, Olivia Harrison – son, Dhani Harrison – and friends, such as Klaus Voormann and many others as well. THE TRAVELING WILBURYS: With numerous musical projects under his belt, such as ‘All things Must Pass’ and ‘Dark Horse’, Georges next musical venture was to ally himself with a couple of well known musicians and form a band. No, not Paul and Ringo, but rather, Jeff Lynne, Roy Orbison, Bob Dylan, and Tom Petty, to produce a grass roots paring called ‘The Travelling Wilburys’. Unfortunately, though, this band disbanded after two years on the road, when Roy suddenly died. DUCK AND COVER: Georges last few years on Earth was a somewhat difficult time for him and his family. For a start, a lunatic attacked both him and Olivia at their home. And not so long after that, he contracted lung cancer, and eventually died in Switzerland. However, even in death, George Harrison will live on – and he always will. OK, I have to confess, that my initial introduction to George Harrison was a somewhat inadvertent one. You see, I was rather young at the time, and I liked one of the songs that he sung in, without knowing that he was one of the people who was actually doing the singing. Now the name of the song was called ‘Tweeter and the Monkey Man’, and the name of the band who sung this song was called ‘The Travelling Wilburys’. Moreover, it was not until an older cousin of mine said to me ‘Oh! One of the Beatles is in that group’ which then led me down a long and winging road full of Beatles trivia, musical appreciation, and our mate George. Personally speaking, I always thought of George as a kindred spirit – as he always come across as ‘a referee’ where the Beatles was concerned – and I did likewise where my home life was concerned. Though, over time, I actually saw more of me in George than I actually care to admit – because I have a way about me, that is one half rebellious, one half creative, and one half generous in nature (too many half’s right?). Still, it is not only me that I can see George in, because I can also see the maker of this film, Martin Scorsese, in him too. For a start, they both have spiritual leanings – George with his mantra, and Martin with his Catholic upbringing (at one time he was going to become a priest). Next, I would have to say that they both appear to be perfectionists in their respective fields – George with his solo ventures and his collaborations, and Martin with his films and his collaborations. After that, they do share a common bond in their history – because they were both brought up during World War 2, and their respective families share a faith in Catholicism. After that, I would have to say that they both have a certain intensity in their work, one that adheres to a certain type of satirical and realistic tone – which is not always everybody’s cup of tea. And finally, they both share me as a common fan – be that a good thing or a bad thing, ha! Plus, another thing that sprung to mind whilst watching ‘George Harrison: Living in a Material World’, is that I also saw a common link between Monty Python and the Beatles too. Well, initially, they are both a product of their time, and they both connect on a certain level where their creativity, upbringing, lunacy, and dissolvent is concerned. And in addition to this, presently they have both become a marketable commodity, one that has been redistributed repeatedly in a rather retroactive manner. Fair dues, a documentary like this one is the exception to this latter rule – because what is on display here is far from being moulded or tampered with, just for the benefit a modern day milieu. Instead, this program defies reasoning – like George himself – and is just a very nice program to watch for all of its honesty. Also, on a certain level, it is almost as enjoyable as the first part, as it is personal, poignant, and at times, very emotional as well. I liked it – I really did – the interviews were revealing, the stock footage was moving, and I was captivated from start to finish. However, do you know what I found to be the most interesting aspect about this documentary? It was how George kept on allying himself with other artist’s after the Beatles split up – as if he was searching for a band that was no more. Perfect documentary – this one is for keeps.